5-piece micro-fine assortment. 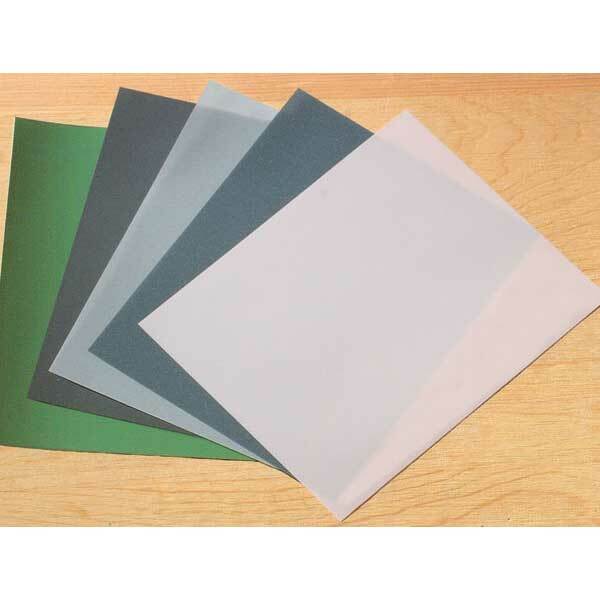 7.5 inch x 5 inch sheets of the world's finest and most exotic abrasives. 1 sheet each of grits from 23 micron down to .5 micron (equivalent to 10,000 grit!). Includes silicon carbide, aluminum oxide, cerium oxide and chromium oxide.